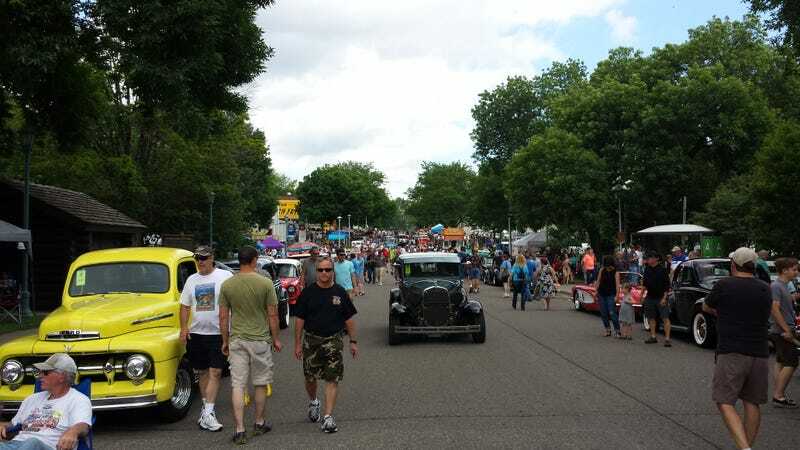 The Minnesota Street Rod Association holds a yearly car show at the MN State Fairgrounds called Back to the 50’s. This year’s event is going on this weekend and ends Sunday the 21st. To give you an idea of the scale of the event, last year there were over 11,800 cars registered plus crafters, swappers, other vendors, etc. Oh, important note: all these cars are 1964 or older (no Mustang’s).